Indian Wife Gets Her Own Back. Sorry Jasmine but you’re faking it! I listened to this recording today and I have to admit it made me laugh. BUT! Do you, like me, feel it’s a clever little hoax? I have many reasons why I think that, and will happily share them if you let me have yours in the ‘Comments’ section. 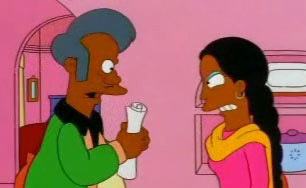 Yes, I don’t feel that an educated and cultivated indian couple would go on air to vent their problems. Sounds a bit too rehearsed. It’s obviously fake, but still hilarious. Wesleys last blog post..Okay, that’s better. Even though I posted this ages ago it still makes me laugh – and every time I listen I’m more and more convinced that the real ‘dupe’ is the DJ!